I almost signed up for a yearly contract today but the feeling passed. Forget that.....Go find something you deserve! I feel tired but happy. I cleaned a ton today and the place looks great! I feel a bit better, but I need to stop pushing myself to do so much. it feels like time is spinning faster and faster..it's not even Halloween and i'm thinking of Thanksgiving! I feel sad that my time off is over. I feel desperate, and worried, and entirely overwhelmed. A bit of back pain has me a bit cranky, otherwise im in a good mood. I really need to bring in my own stuff to make coffee. I don’t like the coffee they have here. Plus I don’t trust this cleaning staff. I'm in the final and QA stage of a project and the Project Manager made major changes at the last minute. Last night she sent out an email that made no sense (she's tired like the rest of us) and it's the first thing I saw this morning. Luckily, I was able to get her on the phone for a conference call and she made sense of what looked like one big mess. I have my work cut out for me and will work again this weekend, but will probably take the rest of the day off for some retail and piano therapy (going to Costco then home to play the 88s), then get back at it tomorrow morning. These things happen and life could certainly be worse. Yesterday I injured my ankle rather badly while attempting to tackle my 80 pound pit bull. Long story. Although this occurence has caused a lot of strife in my life (stairs are now a very interesting kind of cardio yoga) I have decided to make the most of what will surely be a lengthy healing time. I am enrolling in an online course I’ve been wanting to take. Lemonade from lemons! I may have to forgo our planned trip to Salem for Halloween. We’ve got over a week til then so I will try to remain hopeful. re: Salem-i found Salem very odd..the people were odd..the magick was also odd and not what i expected..Intensely Hoo-Doo magick about & displayed..the town was hot as a Hades..Repressive..although some town folk were helpful and i found an early version of stew with apples that was truly delightful...i also sought the monument for those who were slain for being witches..calming..whether witches or not..i think they were at peace and i would find it perfectly comfortable to spend the night in the small vintage graveyard i happened upon.......would i go back?...probably. I feel okay. Could be better. Could be a lot worse too. Kitty you were in Salem !! I live less than 2 mi. from where your visited. Right now its all tourist's , and where they said the slayings took place isn't even in Salem. It's a town called Danvers, right next to Salem. Where the slayings actually happened would send shivers right threw you. The judge who ordered the slayings bought property in Danvers where he built an insane asylum . Till this very day the structure is very, haunted. They turned the property into a high end apartment building. The Salem witch trials were a series of hearings and prosecutions of people accused of witchcraft in colonial Massachusetts between February 1692 and May 1693. More than 200 people were accused, nineteen of whom were found guilty and executed by hanging (fourteen women and five men). One other man, Giles Corey, was pressed to death for refusing to plead, and at least five people died in jail. It was the deadliest witch hunt in the history of the United States. The episode is one of Colonial America's most notorious cases of mass hysteria. It has been used in political rhetoric and popular literature as a vivid cautionary tale about the dangers of isolationism, religious extremism, false accusations, and lapses in due process. 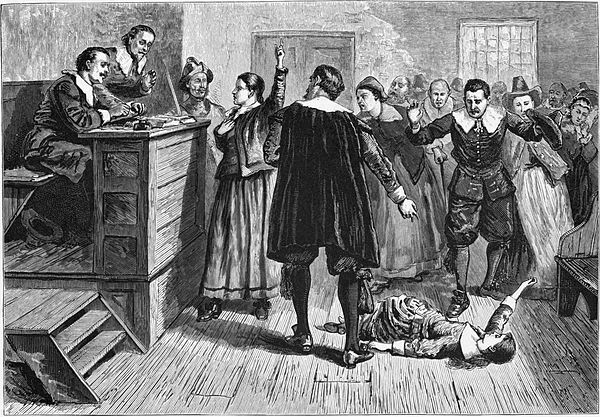 It was not unique, but a Colonial American example of the much broader phenomenon of witch trials in the early modern period, which took place also in Europe. Many historians consider the lasting effects of the trials to have been highly influential in subsequent United States history. According to historian George Lincoln Burr, "the Salem witchcraft was the rock on which the theocracy shattered." At the 300th anniversary events in 1992 to commemorate the victims of the trials, a park was dedicated in Salem and a memorial in Danvers. In November 2001, an act passed by the Massachusetts legislature, exonerated 5 people, while another one, passed in 1957, had previously exonerated 6 other victims. As of 2004 there was still talk about exonerating all the victims, though some think that happened in the 19th century as the Massachusetts colonial legislature was asked to reverse the attainders of "George Burroughs and others". In January 2016, the University of Virginia announced its Gallows Hill Project team had determined the execution site in Salem, where the nineteen "witches" had been hanged. The city owns the site and is planning to establish a memorial to the victims."